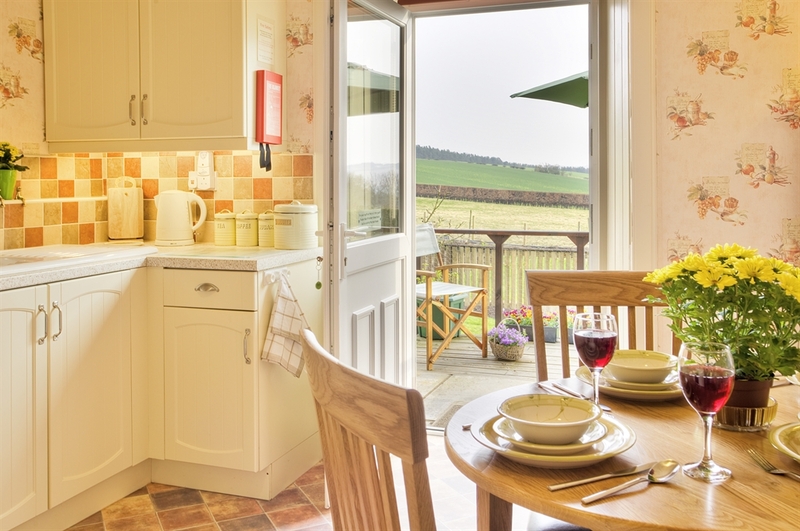 Nestling under the southern edge of Bowmont Forest, 4 miles from the historic town of Kelso, 'Tiore' enjoys beautiful uninterrupted views southwards over fields and rolling hills to where Scotland meets England 25 miles into the distance. Peaceful seclusion, spacious comfort and the opportunity to relax are our gifts to you. 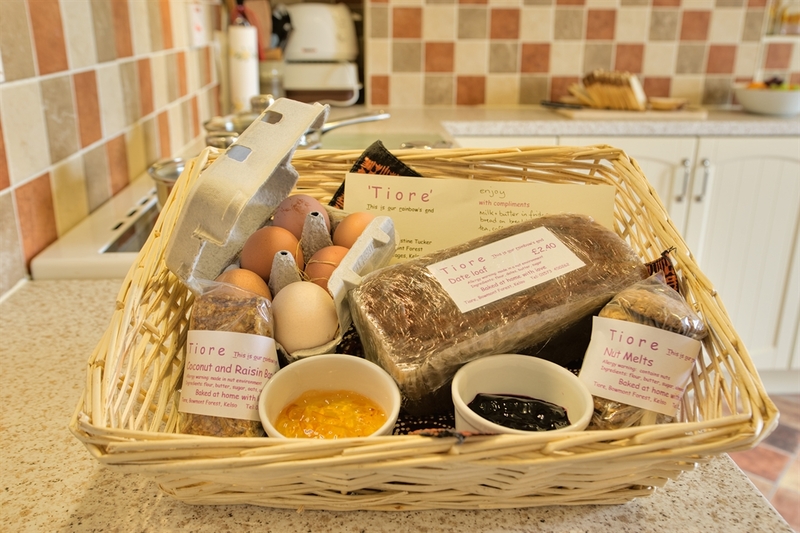 'Tiore' is situated on a private roadway with ample safe parking and consists of 2 semi-detached cottages. One is for you our guests, and the other is our home. Should you need our assistance we are therefore close by. 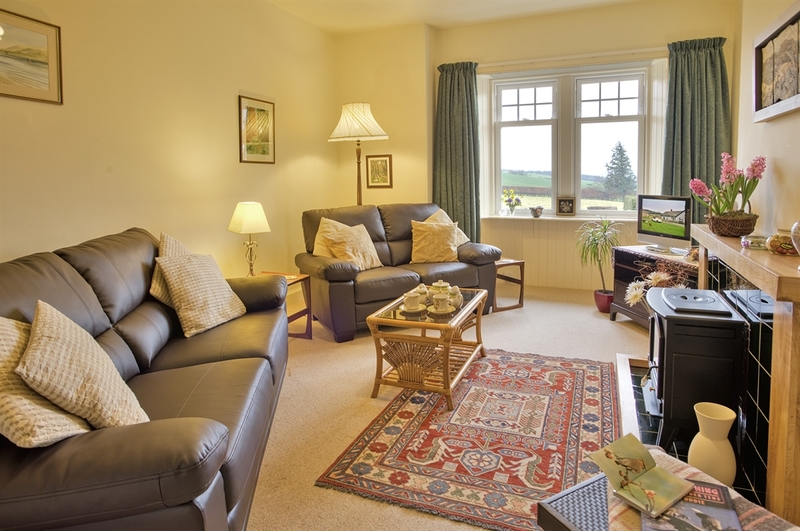 The cottages, built in 1914, have been tastefully refurbished to a high standard with central heating throughout, double glazing and modern facilities. Relax in the tranquillity of the south-facing enclosed garden. Explore historic abbeys, castles, sites and country houses. And eating out - mmm - that's delicious! There is always somewhere to go, something to do or see in the Scottish Borders - one visit will not be enough. We guarantee you will want to return. Why not follow the link to our owner's website and start planning your journey. Make 'Tiore' your peaceful retreat or welcome base. and to quote from our visitor's book - "Tiore really is the pot of gold at the end of the rainbow" The spacious accommodation is on one level and comprises two bedrooms, bathroom, separate shower room, kitchen/diner, lounge, utility/laundry room and porch with a lockable shed outside. The lounge, kitchen and bedrooms are south-facing. Hot water and heating is included in the price. A good night's sleep is part of the experience. 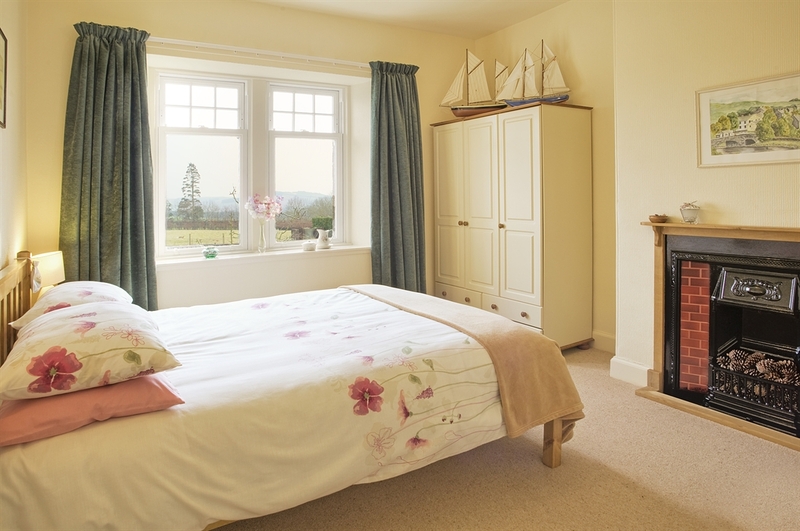 The 2-bedroom property sleeps 4 and we can provide a cot or extra child bed on request. The main bedroom has a very comfortable king size bed and feature fireplace, the second bedroom has twin beds, also comfortable. We can also provide a high chair, changing mat, portable safety gate and other essentials to ease your travelling load. Child safety is of great importance to us. Bed linen, duvets, pillows and blankets are provided and included in the price. 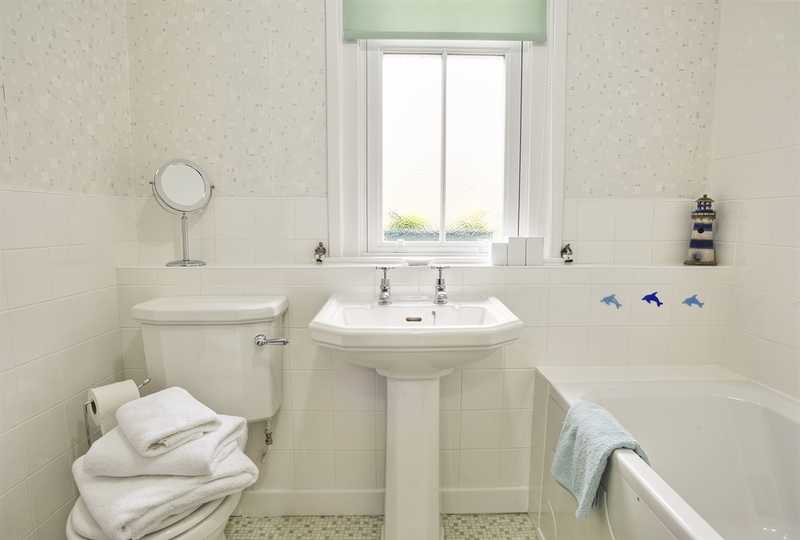 Take a sumptuous soak in the large deep bath. There is also a hand held shower attachment. For your comfort the separate shower room has a cubicle of ample proportion. Non-slip mats are available for use in both bath and shower. Towels are provided. 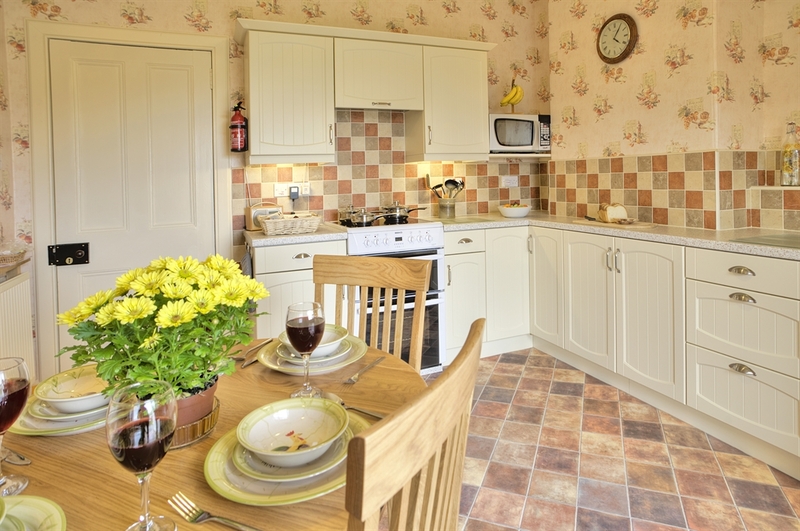 In the fully equipped kitchen there is also ample space for comfortable dining. And your welcome pack will include all essentials for a reviving drink and snack on arrival. Kitchen linen is included. Comfortable sofas are arranged in the lounge around a fireplace with an electric stove which offers instant glow and/or warmth. If you do need entertainment there is a choice of television, radio, DVD, video and CD player with a selection of DVDs, videos and games and books. The utility/laundry room has a sink, washing machine, tumble dryer, iron, ironing board and clothes pulley. An electric panel heater is provided for extra heat when drying damp or wet clothes. Outdoor boots and shoes can be left in the boot tray in the large entrance porch. And larger items like bikes, golf clubs and pushchairs can be stored in the lockable shed to the side of the front door. Garden furniture is available for your relaxation. Sip a glass of wine under the umbrella on the raised area outside the kitchen door or make use of the picnic bench for an alfresco meal. A barbeque is available. The beautiful view is free and ever changing with time, light and seasons. Short breaks and special offers can be arranged. Visit our owner's website for further details.